The genus Claviceps is a fungi species that can be found in the ovaries of grasses and rye (as well as other related plants). This has been shown to be the primary characteristic of this species. Along with a number of other species (e.g. C. sorghi and C. cynodontis), these organisms belong to a group of fungi that are referred to as ergot fungi. As such, they can be found growing on a variety of grasses where they produce alkaloids. This species of fungi are homothallic, which means that they tend to reproduce sexually. Phase 3 - As they germinate, the hyphae grows into the ovary organ - Here, it is worth noting that the hyphae only invades the ovary of the plant and does not move to any other part of the plant. The reason for this is not yet clear. Given that the cuticle is relatively hard, it is believed that for most part, ergot fungi will grow on vulnerable plants. However, the mechanism through which they penetrate is yet to be fully understood. One of the best theories however suggests that the fungi produce specialized hyphae that is capable of growing into the epidermal cell wall and ultimately grows into the ovary of the host plant. Also known by such names as Claviceps microcephala, Claviceps setulosa and Sphacelia segetum, Claviceps purpurea (C.purpurea) can be found in a wide range of grasses and cereals where it causes ergot disease. Compared to other species in the genus, C. purpurea parasitizes about 400 types of grasses across the globe including barley, wheat and rye. This makes it one of the most ubiquitous pathogens in the genus responsible for damage of many grasses and cereal plants. Various strains of C. purpurea have also been shown to be capable of moving from one host ovary to another. Among these strains, there are various aggressive strains such as the wild-type strain that actively grow and replace other ergot fungi from the ovary in which they had settled. This allows the aggressive strain to grow and thrive more successfully. The life cycle of C. purpurea begins when the spores of the fungi (Ascospores) are dispersed by the wind from the fruiting body (perithecium) of the fungi. The spores start to germinate once they land on the pistil (female reproductive part of a flower with an ovary at its base) of the host plant. The spore (a single homothallic) then starts to germinate and produce hyphae, which is capable of penetrating the cuticle at the hairs of the stigmas (softest part) to reach the ovary. In the ovary, a mycelial stroma is produced, which in turn develops further into large numbers of conidiospores that is released from the plant's phloem sap as a thick sugary fluid. When this fluid is spread to other plants by rain drops and insects, it allows for the infection to spread to other plants as the fungi continues to thrive. Through this cycle, the ovary of the host plant is basically replaced by the mycelia of the fungi (which also forms the exudates referred to as honeydew). 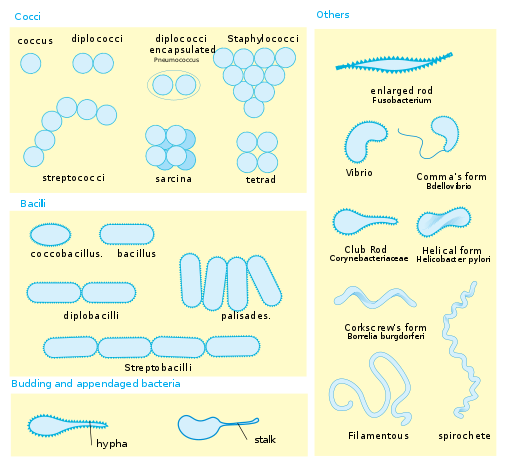 The honeydew produced is composed of conidia that infects other host ovary when the spores (conidia) are dispersed. On the other hand, the honeydew (rich of sugar) develops into a sclerotium, which is a hardened dark brown (or purple) mass that is also referred to as the ergot body (bodies). These bodies contain dry alkaloids and when they land on their surrounding (ground) the life cycle continues to produce ascospores that can in turn affect other host plant's ovaries. * Hardness of the sclerotium allows it to survive in unfavorable conditions in winter- In favorable conditions, the fungi starts germinating to form fruiting bodies (stroma) during sexual reproduction. The spores that are ultimately produced from the perithecium are carried by the wind to the host plant flowers where the life cycle continues. During sexual reproduction, the cytoplasm of compatible mycelia fuse together in a process known as plasmogamy. However, the nuclei of these mycelia do not fuse, which means that the cells remain in a dikarytic state. This simply means that the cell contains two genetically distinct nuclei in their cytoplasm. When the conditions are favorable (temperature, nutrients etc) these cells develop into a fruiting body (ascus is formed in the fruiting body), which is then followed by the fusion of the two nuclei in a process known as karyogamy. Nuclei fusion in the ascus results in the production of ascospores through meiosis (meiosis proceeds mitosis) and mitosis. These spores continue the life cycle in favorable conditions. The horn like sclerotia which replaces plant seeds may appear dark brown or purple in color. by Harry Rose - Flickr.com Flowerheads are susceptible to infection from Claviceps paspali, a black fungal infection which is toxic to stock and causes the flowerheads to be sticky in summer. Also referred to as paspalum ergot, Claviceps paspali is a species in the genus Claviceps that is said to have originate from South America. However, it can be found in a number of other regions across the world including Australia and part of Africa. Compared to C. purpurea which affects a wide range of grasses and cereals, Claviceps paspali has been shown to mostly colonize species of the Paspalum genus (grass). The life cycle of Claviceps paspali is more similar to that of C. purpurea. This means that spores dispersed by wind land on the pistil of the host flower (Paspalum genus such as Paspalum dilatatum) and germinate to produce hyphae that grows into the ovary. Experiments have shown this to process to only take a few days resulting in the destruction of the ovary as the fungal tissue fills up the internal space of the organ. As with C. purpurea, honeydew is also produced by this fungus to attract insects and allow the life cycle to continue in other host plants. Like Claviceps purpurea, Claviceps paspali produces alkaloids that can cause health problems. In addition, they also produce paspalic acid, lysergic acid amines and other substances such as isolysergic acid. Given that this fungi typically affects the genus Paspalum such as Paspalum dilatatum, which is consumed by cattle and other herbivores, these substances have been shown to be poisonous to these animals causing tremors and even death when consumed in large quantities. For instance, according to one study, a gram of extract from the fungi was shown to be capable of causing death to a matured pig. For this reason, such grasses in parts of Australia and other regions are rarely given to these animals. 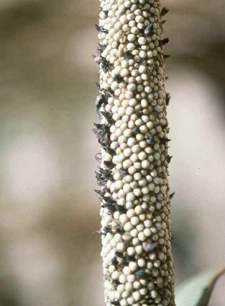 Claviceps fusiformis is primarily common in various parts of Africa and India with pearl millet being its primary host. 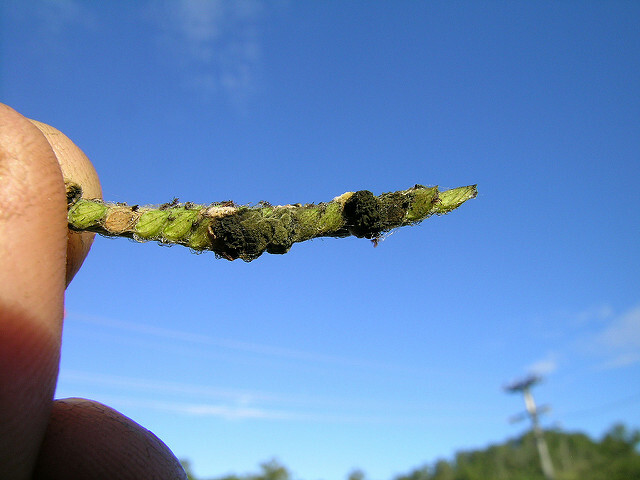 The fungi causes ergot disease in this plant by replacing the normal healthy grains with a sclerotia. Like the other species in genus Claviceps, Claviceps fusiformis also produce alkaloids from the sclerotia that can cause poisoning in animals. While Claviceps fusiformis largely affects pearl millet, such grasses as those that belong to the genus Pennisetum have also been shown to act as reservoir hosts for the species. 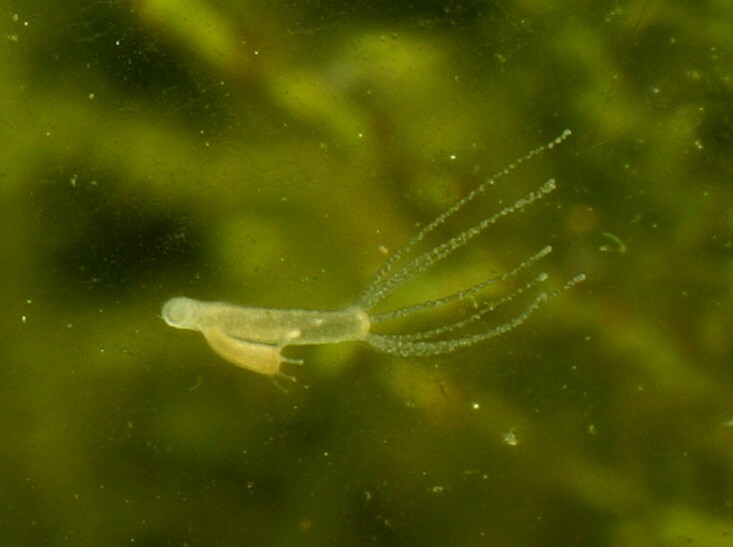 With very little differences, the life cycle of this species is also similar to that of Claviceps purpurea where the windborne conidia may be spread by wind, insects and rain drops. Claviceps africana has been shown to primarily affect sorghum plants making it one of the biggest challenges in the industry. It is largely found in Africa, Australia, parts of Asia as well as both North and South America. As a result, there is a global concern over the destruction of sorghum plants. Apart from simply damaging these crops by damaging the ovary and from its alkaloids (particularly dihydroergosine, festuclavine and pyroclavine), Claviceps africana also makes the plant susceptible to other type of fungi and pests. The life cycle of Claviceps africana is similar to that of the other Claviceps. However, with Claviceps africana, the ovary and seeds are replaced by mycelium that is white or pale in color and has a sub-globose shape. The viscosity of the honeydew (white in color) is dependent on temperature and humidity. When it has low viscosity, the honeydew has been shown to cover parts of the leaves and plant stalk causing it to appear more white or pale that it naturally is. Nutrients are required for all species of genus Claviceps in their development. Studies have shown lipids, amino acids and other sugars to be concentrated in germinating sclerotium. For instance, reserves of lipids in the sclerotium were shown to act as sources of energy during stomatal growth. The synthesis of polypol, mannital and various soluble sugars was also shown to occur. Amino acids and lipids were therefore shown to be important not only for the germinating of the sclerotium, but also for the synthesis of other material required for the survival and proliferation of the fungi. According to other studies, hyphae that grows inside the ovary have also been shown to derive nutrients required for germination of the sclerotium. 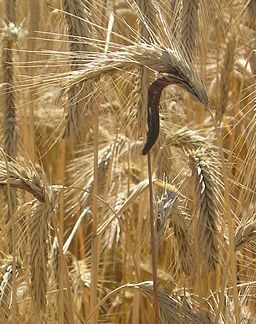 Ergot fungi produce ergot alkaloids, which are mycotoxins. Depending on the species and the infected plants, contamination and the effects on contamination on the plant and human and animals will vary. For instance, whereas Claviceps purpurea affects the reproductive parts of cereal plants and various grasses, C. africana contaminates and causes destruction to sorghum with their alkaloids. When ingested by human beings and animals, different concentrations of alkaloids will have varying effects ranging from hallucinations and burning sensations to death. In human beings, the ergotoxine and other alkaloids of C. purpurea have been shown to stimulate the smooth muscle, resulting in cases of gangrene, arterial occlusion and contraction of the uterus, which can result in miscarriages. While ergot fungi have been shown to have negative health impacts in addition to damaging plants, they also have a medical importance. For instance, they have been used to reduce excessive bleeding during menstrual periods in women. Compounds like ergotamine have also been used to help deal with migraines while other ergot fungi help enhance the effects of dopamine in the brain. While these organisms have pharmacological importance, it is worth noting that ergot fungi can have serious negative impacts on both human beings and animals. For this reason, using them for their pharmacological effects (as a form of treatment) is highly discouraged for those who are not familiar with these fungi species. But enjoying looking at them from a micro point of view under the microscope is fascinating. B. Komolonga, S. Chakrabortyab, M. Ryleyc and D. Yates. Ovary colonization by Claviceps africana is related to ergot resistance in male-sterile sorghum lines. Plant Pathology (2003) 52, 620–627. Klaus B.Tenberge. Biology and Life Strategy Of The Ergot Fungi. 1999 OPA (Overseas Publishers Association) N.V. Published by license under the Harwood Academic Publishers imprint, part of The Gordon and Breach Publishing Group. Paul Tudzynski and Jan Scheffer. Claviceps purpurea: molecular aspects of a unique pathogenic lifestyle. 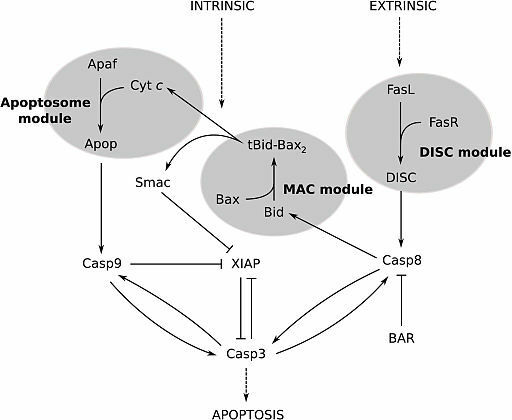 Molecular Plant Pathology (2004) 5(5), 377–388. Vladimir Kren and Ladislav Cvak. Ergot: The Genus Claviceps (Medicinal and Aromatic Plants - Industrial Profiles) 1st Edition. Publisher: CRC Press; 1 edition (April 8, 1999).